Spring will soon be here (it’s true). It’s time to do some spring cleaning…in your yard. The winter months can be harsh on lawns and gardens. It will soon be time to get that water sprinkler system out of winter storage and ready for watering duty. Your lawn will need nutrition. Still, it’s important not to overdo it with the watering. Overwatering and mowing when your grass is wet can spread fungal problems left over from winter. It’s a good idea to give your lawn a light raking at the beginning of spring, to help clean up and dead grass or leaves still leftover from winter. Soil compaction can also be a lawn problem early in the spring. Soil compaction occurs when the soil becomes densely packed. 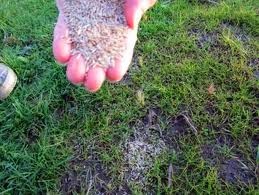 This makes it difficult for grass to take root and allows roots to cause all the problems roots can cause. Grab a garden fork and stick it in the ground. If the teeth fail to penetrate more than two inches, you’ve got soil compaction. Use an aerator to loosen the soil in the yard. Spring is also a good time to have your lawn’s pH balance, especially if you have not done so in a few years. Contact a lawn care professional to conduct the test. The results will tell you if your lawn is getting the right minerals in the proper amount. The pH test can also tell you if you need to add lime to your lawn. Spring is a great time to add lime. Be careful with fertilizer. 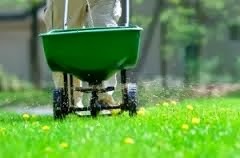 Just because the lawn looks a little brown after a rough winter, does not mean it’s a good idea to just throw down a bunch of fertilizer. It’s not just the lawn. Spring is also a great time to plant those garden vegetables. Good seeds to plant this time of year include: snap beans, carrots, radishes, squash and sunflowers.